Our rate is $150 per night. Our minimum stay is 3 nights, and our maximum stay is one week. This light, comfortable basement apartment is in the Historic Fort Ground Neighborhood, which is the most coveted location in Coeur d'Alene. 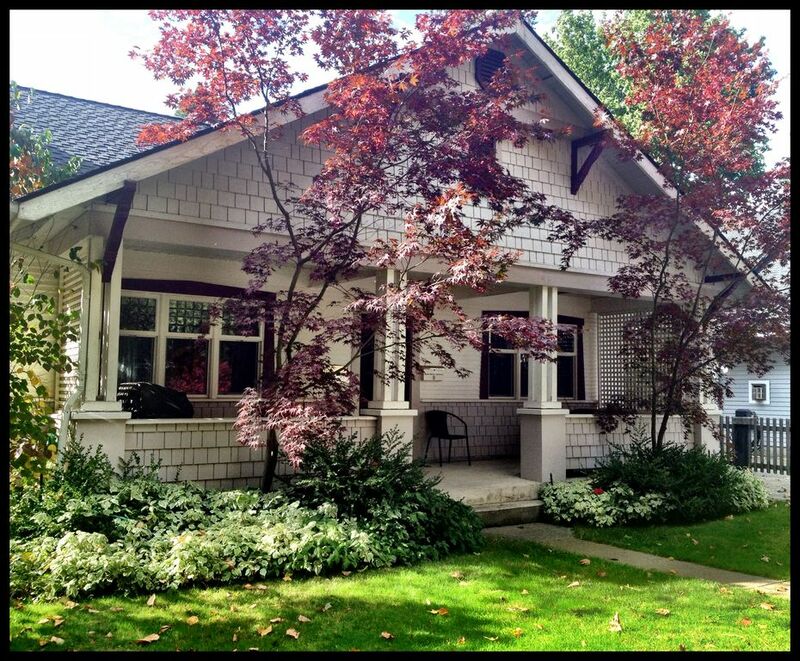 Our house is a lovingly renovated Turn-of-the-Century Craftsman Home, situated directly across from the beautiful tree-filled City Park, which is an idyllic setting for walking, cycling, picnics, concerts and special events. Just down our street is the City Beach on lovely Lake Coeur d'Alene, offering all manner of water sports, as well as lake cruises. A very short walk brings you to the famous Coeur d'Alene Resort, the shops, galleries and restaurants of the Downtown, and access to several easy, scenic hiking trails. The apartment is cheerfully decorated with our extensive collection of Mexican Folk Art. There is one double bed and one twin bed in the bedroom and a double futon couch in the living room, which can sleep two. The living room also has a large sectional couch with recliner. The fully equipped kitchen is spacious, including a dining area. The bathroom has a tub-shower. There are windows in every room. The large livingroom has a 60 inch Sony HD TV with HD satellite connection, as well as a DVD player. There is also a computer and printer. In addition to normal towels and linens, we provide beach towels, beach chairs, and a cooler. There is a very comfortable front porch, equipped with a porch swing, chairs and a gas barbecue, as well as a back yard. We are in an ideal site for walking and cycling, with secure storage for your bicycles. We also provide off the street parking. In short, our is an ideal vacation rental. This location was perfect. It is centrally located to the downtown, 2 minute walk to the lake, 5 minute walk to downtown. It was well furnished. Karen was great. I would definitely recommend and stay at this property again in the future! My family and I had a wonderful time in Karen's place. When I first booked I did not realize I was not taking the whole house, but once I got there and met Karen and her husband, it felt like the whole place was ours. They were super nice and made everything possible to make sure we had the best time we could. If I ever go back to CdA, I will definitely stay with Karen again. Thanks for your kind words, Gustavo! Mi casa es tu casa! Great place with a great location in CDA! ! I would highly recommend! Thanks so much to you and your family. It is a pleasure to share our home with people like you! Hope to see you again! Great location! Karen is very welcoming and kind. Couldn't have asked for a better experience. Thanks Marion! We are so happy that you enjoyed your stay. We'll keep in touch and hope that you can make it back again someday! The location of this little basement apartment is amazing--across the street from the huge lakefront park, a half block to the water. Yet it is quiet, with sufficient parking and great amenities. Access is through the host's dining room but she is quite discreet and makes it as private as possible. Karen went out of her way to make it feel like a special visit--she clearly loves her town and we do too. It was a lovely retreat and the only downside was not being able to spend more time there.